The privacy-focused DNS Service 1.1.1.1 was launched in April of this year. According to Cloudflare, their offering provided the fastest service to the users. Now, Cloudflare has come up with a dedicated app for the same that is compatible with both – Android and iOS devices. 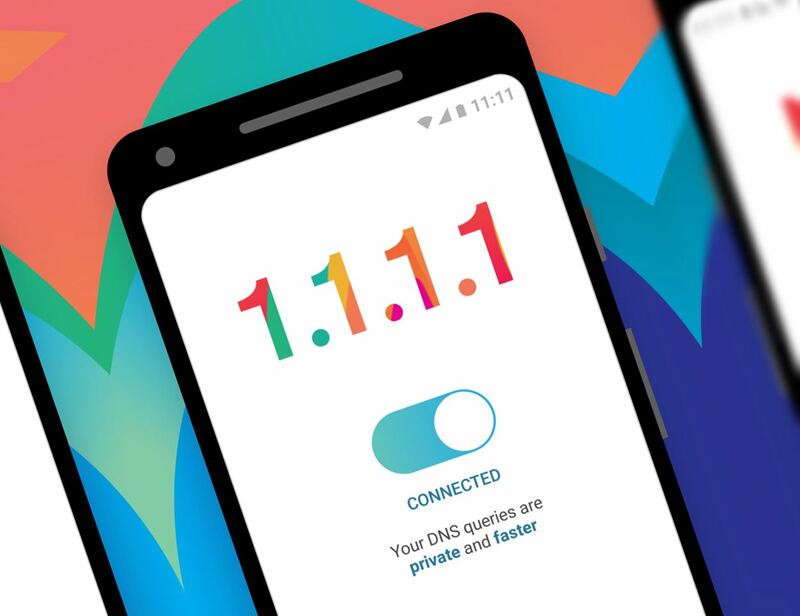 The app for 1.1.1.1 allows mobile users to safely browse the internet by utilizing the free Cloudflare DNS service. The Cloudflare app is user-friendly and mobile users can easily toggle the on/off button to operate the DNS service. To download the app simply visit the relevant play store of Google or Apple to install the dedicated app. Most mobile users are apprehensive about downloading another DNS resolver, as mobile phones are usually equipped with the basic features. However, the Cloudflare DNS resolver is more secure than the default ones because it does not collect user data. All logs generated by the service are deleted after 24 hours. Query Name Minimization is another feature that differentiates the Cloudflare from other servers in the market. The Query Name Minimization reduces the chance of privacy information leakage by sending minimal query names to the DNS server. Cloudflare DNS service is also an ideal option for those who are concerned regarding ISP’s tracking the websites they visit. The DNS resolver funnels each data so tracking your footprint becomes impossible. Moreover, the 1.1.1.1 increases page load speed and is installed on 1,000+ servers globally. "Any time you are on a public internet connection people can see what sites you visit. Even worse, your Internet Service Provider is very possibly selling all of your browsing history to the highest bidder. We have a tool called 1.1.1.1 which makes it easy to get a faster, more private, Internet experience, but it’s historically been too complex for many people to use, particularly on mobile devices. Today, we’re launching an app you (and everyone you know) can use to use 1.1.1.1 every time your mobile phone connects to the Internet." said Mohd Irtefa the product manager at Cloudflare, in a blog post.